Spectrum Apartments is located at Budds Beach! 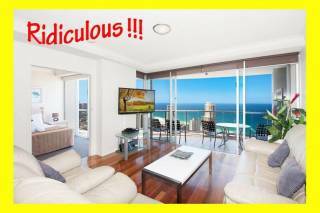 Only a five minute walk from Surfers Paradise, yet in a very quiet part of Surfers Paradise, often referred to as the Gold Coast’s Best Kept Secret! 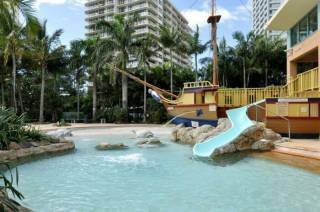 The lovely Nerang River is right outside our front entrance and all our apartments face North, overlooking the white sand palm tree beach and picnic area on the edge of the river. There is always something to watch from the large balconies, from the early morning canoe racing, through to the night time lights reflecting in the water. Spectrum Apartments have a selection of apartments, from two bedroom standard, superior and deluxe apartments, all at a very affordable price. On site manager onsite 24/7. There is a minimum-stay requirement, minimum 3 nights. Shorter stays may be available upon request. Office hours 9-5 M-T AND 9-4 FRIDAYS, 9-11 Sat and closed Sunday and Public Holidays.Check in is 2.30pm, check out is 10am sharp,unless otherwise agreed. If you are arriving outside of these hours please contact reception prior to arrival date to arrange for keys to be left out for you. Contacting the Manager after these hours carries a $40 fee. A valid credit card is required at the time of booking to secure the booking. Person making the booking must be over 18 yrs of age. Any cancellation of 31 days or more will forfeit 50% of the deposit. Anything less than 31 days will forfeit the full deposit plus the remaining accommodation will be charged. No show will forfeit the full deposit plus the remaining balance will be charged. 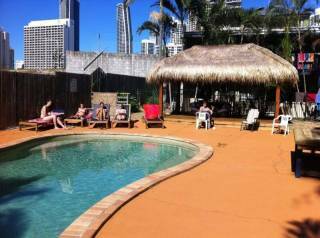 Spectrum Apartments Gold Coast accommodation is a landmark building situated at 3 River Drive, on the corner of Palm Avenue, overlooking the beautiful Budds Beach, Nerang River, and Chevron Island! 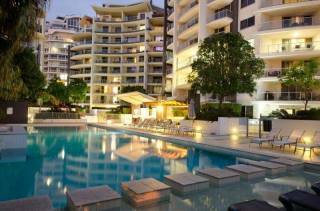 It’s hard to believe you are near the centre of Surfers Paradise in this quiet haven. And during the Gold Coast V8’s you’re so close, yet far enough away from all of the action. 3 minutes walk to the highway for all public transport. The main surf patrolled beach is a short 6 minutes stroll and Cavill Avenue is a 10 minute walk. TransLink’s integrated network on the Gold Coast now includes the G: servicing 16 tram stations from Gold Coast University Hospital to Broadbeach South, 7 days a week. Trams run: every 15 minutes or better until 11.50pm from Monday to Thursday. 24 hours on Friday and Saturday and until 11.50pm on Sunday with connections to buses at Southport, Cypress Avenue and Broadbeach South stations to take you where you love on the coast.